È stato visto 86 volte. Time for the big swimming competition, with animals both large and small frolicking in the currents. 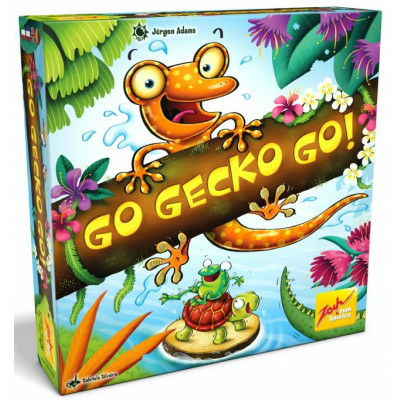 In Go Gecko Go!, each player has a team of four animals to get to the finish line — a crocodile, a turtle, a frog, and a gecko — and while small animals can ride on the back of the larger ones, only those that manage to draw their heads down to safety won't get dunked in the water when they pass under the two bridges. Whose team will finish the race first?